In the past, sewer repairs required large equipment and trenches to expose the pipes before they could be properly repaired or replacing, resulting in a time-consuming and expensive process for home and business owners. With NuFlow Oklahoma, we offer new techniques to avoid these invasive, long repair processes in favor of shorter and more efficient solutions that are guaranteed to satisfy our customers in the Bethany, Oklahoma area and the surrounding communities. At NuFlow Oklahoma, our sewer repair services are exceptionally sophisticated, allowing them to be convenient for our customers and our technicians. We use a specially formulated epoxy liner to coat the inside of afflicted pipes and seal away the complications in your pipes, including leaks, cracks, and corrosion. Once the epoxy resin is evenly applied, the resin is cured and hardens to serve as the new pipe created within the old one. 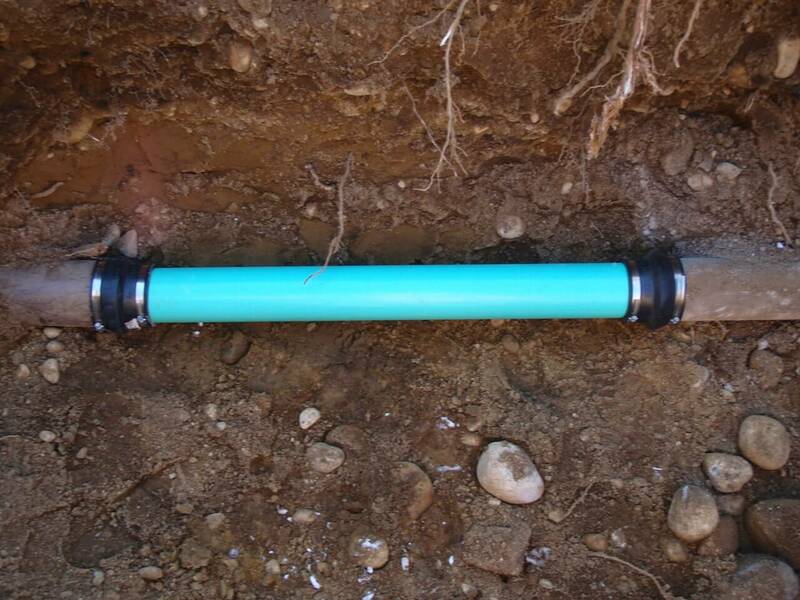 This process takes a few hours to complete, and doesn’t require a single trench to be dug in your property. Our procedure is designed to be safe and secure, resulting in a pipeline that will work efficiently for at least fifty years. The new pipe’s smooth texture not only makes it more effective, the pipe is also much stronger and durable than other materials, allowing it to resist corrosion and rust while reducing the risk of tree roots invading the pipeline. 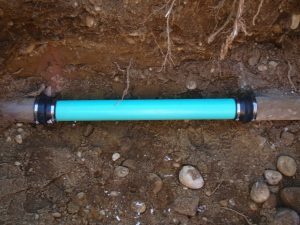 Our sewer repair techniques spare your property from major damages and save you money from needing to restore your home or pay for the labor and machinery. With limited equipment and innovative tools, our sewer repairs are eco-friendly and encourage fast and long-lasting solutions. At NuFlow Oklahoma, we have been practicing sewer repairs since 1998, and advancements to sewer repair technology have allowed us to constantly improve our craft. We have invested in our own machinery and technology to conduct our sewer repairs with, ensuring innovation and customization in our work. Not only do we have years of experience in the field, but the scope of our services has only continued to expand. We offer sewer repairs to residential, commercial, and industrial communities, and we are equipped with all of the equipment needed to repair any complication we encounter. From pipe lining to pipe bursting, our services are able to repair your pipes quickly and efficiently, taking no longer than a single day to be completed. We restore your pipes while keeping your daily life and schedule uninterrupted, and our advancements in technology allow us to continually find new ways to work better, faster, and more efficiently for our customer’s needs. We work hard not just to repair all of our customer’s sewer lines with advanced and non-invasive techniques, but also to foster bonds with you and provide the best solutions that you can trust in. We make a conscious effort to save you time and money and ensure that our solutions are among the best in the industry. For your sewer repair needs, look no further than NuFlow Oklahoma. Give us a call today, and you won’t regret it. We work hard to save you time, money, and property. We work hard to create bonds that last, in your pipes and out. We work hard to provide the best solutions for some of the worst problems. So why look farther than NuFlow? Call us for your sewer repair today. You won’t regret it, and neither will your pipes!